With boat show season upon us, now is the perfect time to think about upgrading your boat’s electronic systems. Have you ever sat at the helm of your boat and thought, “I would really like to replace all of this old gear with a modern navigation system.” We were recently given the opportunity to do just that for one of our clients. We were invited on board a 46-foot trawler and entrusted with designing a complete, integrated navigation system. The client also wanted to be able to boat at night, stay in technical anchorages and “see” below the waterline. Our first task was to scope out the space and determine how much room was available at the helms for mounting the various displays, the spatial arrangement of the arch or hardtop, power distribution at both helms, and associated raceways for all the potential cabling. The client had an idea of the components he wanted to see on the boat so our next step was to sit down with him and determine the options he would prefer. For each component there are a number of specific questions you should ask yourself, it is really a matter of personal preference. In this month’s column we are going to look at the options that the client had to choose from and next month we will reveal the components we used and share some insight into the installation. When you are determining the amount of space you have available, take into consideration that there are two mounting options. Almost all marine electronics ship with a bracket mount that can be used to install the unit on the helm dash or in an overhead electronics box. These mounts allow you to swivel the unit in two dimensions for maximum visibility or easily remove the unit when it is not in use. The second option is a flush mount, this can be more challenging to install but it gives you a clean line and saves space. For each component, we have highlighted some things to look for and options to consider. The screen size really does matter, choose the largest screen you can that will fit in your space. Very rarely do owners regret getting too large a screen. Early on, you need to decide if you will be interconnecting more than one display. Even though most MFDs are meant to be interconnected, some models are standalone and will not share data with others. Glare from sunshine used to be a concern but the newer models incorporate advanced LCD technology to reduce glare. Do you prefer to use buttons or a touch screen? The newer touch screens use pinch and zoom technology, similar to most smartphones and tablets, but is this practical when you are wearing your gloves in a rainstorm? 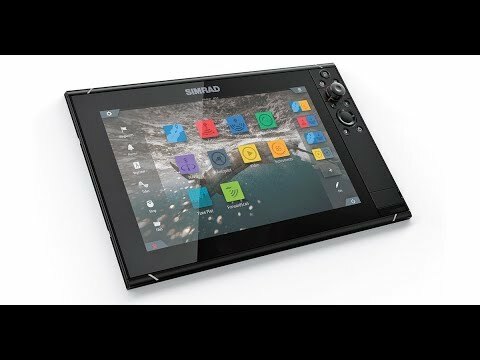 Some manufacturers are giving you the simultaneous ability to have complete control via either screen or buttons. For instance, Raymarine calls this hybrid touch. We highly recommend that you try using the unit before you buy it. Simple tasks, such as plotting a waypoint, are intuitive on some and completely frustrating on others. Should the unit include a built-in GPS receiver? Typically you do not require an external GPS if your MFD has a built-in GPS receiver however there are some instances when you may require an external GPS such as within some pilothouses. 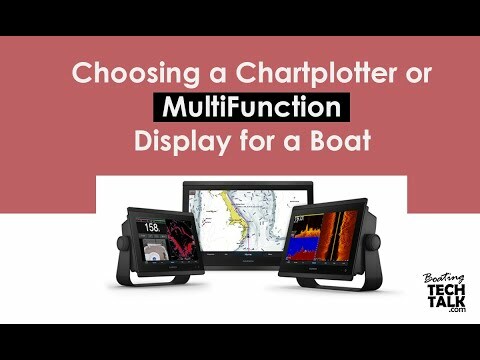 Do you want a stand-alone chartplotter, a multi-function plotter or a chartplotter + fish finder? This really depends on the space available on your boat and how you use your boat. The new MFDs can incorporate a chartplotter, sounder (aka fish finder), radar, AIS, cameras, vessel diagnostics and entertainment components. For interoperability, many of the today’s marine electronic devices will work together using National Marine Electronics Association Standards, known as either NMEA 0183 or NMEA 2000. Decide if you want to install a NMEA backbone. The NMEA 2000 is certainly the way of the future and makes integrating various electronics easier. Some manufacturers, for instance have their proprietary version of N2K and you will need cable adaptors to make it work. New electronics will now work with your smartphones and tablets using downloadable apps and wifi. This may be an option for a second helm or for family members who want to co-pilot. There are two types of radar: Pulse and broadband. Pulse emits a pulsing signal from a rotating arm on the antenna called an array. This can be an open array, where the radar arm can be seen or a closed array often called a radome. Broadband sends out a continuous signal so it receives and transmits in the same instant, unlike pulse units, which transmit and then go through an internal change to receive. Range: Pulse radar is better at longer distances and broadband has better short range resolution. Power consumption: Broadband radar has lower power consumption than a pulse radar. Radiation: Pulse emits microwave radiation and typically you do not want to get within three metres of a 4KW radome. Broadband radar emits very little radiation, roughly equivalent to that from a cell phone. Esthetically, the radar should match the size of your boat. You may also need a radar arch or post to mount the radar antenna. If you are talking to a reseller or authorized installer, it is often helpful to bring a picture of your boat for mounting options. Sometimes it’s necessary to install the radar on a pedestal/riser to clear any obstructions. Determine how you will be using your radar. 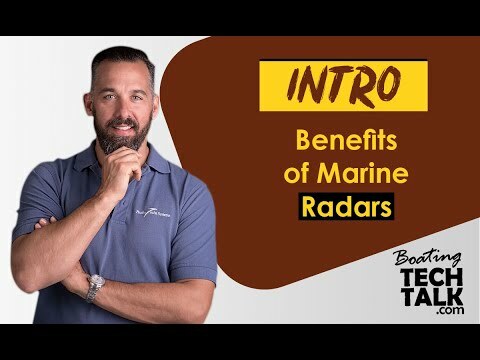 If you just travel in local waters, you may only require a small 2KW dome, however, if you are navigating open or uncharted waters you should consider a more powerful radar. The larger the array, the better target separation you will get. If you think you may add radar to your system at a later date, ensure that the MFD you are purchasing is radar compatible. Remember it is important to match the right radar to the right display. Generally speaking the radar and the MFD need to be of the same manufacturer and also be technologically compatible. For instance older analog radars might not work with newer MFDs that interconnect to digital radars. A thermal night vision camera provides superior visibility for those who travel in low light conditions. The technology senses minute temperature differences allowing you to see obstacles, other vessels and even people in the water. These cameras can also be integrated with many of the most popular chartplotters and MFDs. Some thermal cameras’ controls integrate directly with the MFD, allowing the operator to control the camera from the MFD without the need for a control module to be installed at the helm. 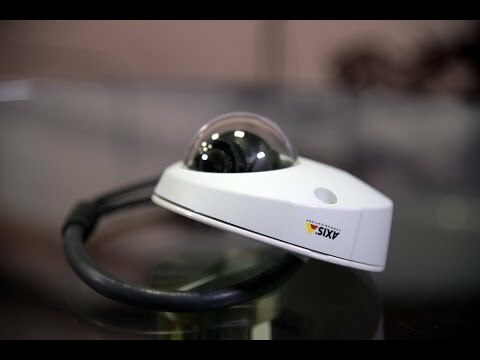 When choosing a thermal camera, you’ll need to decide the quality of the image, do you want an image stabilizer, fixed-mount or motorized. All these options come at cost. 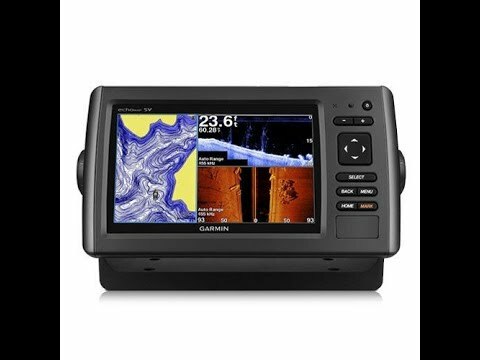 When purchasing a depth sounder or fish finder, you will have to decide what type of transducer you want, a thru-hull, an in-hull or a transom mount. In-hull: The performance is OK and really depends on the hull thickness. Reliability is so-so, but it does NOT need be out-of-the-water for installation. Transom-mount: Provides good performance and is relatively easy to mount. Designed for smaller powerboats. 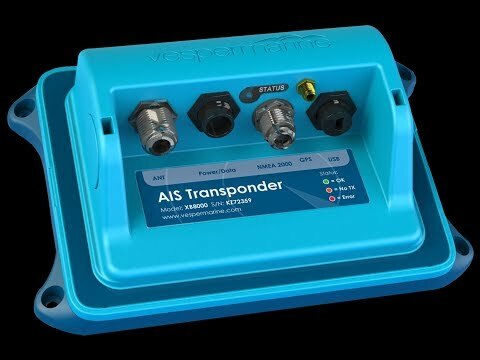 Most transducers use proprietary connectors so interoperability between various manufacturers should NOT be expected. A depth sounder displays a number for depth and a fish finder displays a scrolling time-line graphic. Both devices use sonar to send and receive a signal, unfortunately most sonar frequencies pass through fish. Therefore, a true fish finder has a transducer that is engineered to detect the air within fish swim bladders. The new multi-beam fish finders use dual frequency transducers that can scan sideways. Forward-looking sonar is now available for recreational boaters, these systems are primarily designed for obstacle avoidance and shallow water navigation. The transducer is mounted near the bow and the sonar detects and displays the seafloor and any in-water obstacles nearby. CHIRP or Compressed High-Intensity Radiated Pulse is a new technology that sends out a continuous sweep of frequencies as compared to just one single frequency like standard sonar (see PY “Tech Talk,” Jan 2012). Since 1999, all new VHF radios implemented Digital Selective Calling. DSC allows data to be transmitted by your VHF radio. In the case of an emergency, you can simply press a distress button on your radio and your vessel position and description will be sent to the Coast Guard and other vessels capable of receiving DSC. The radio must be linked to a GPS receiver or have a built-in GPS receiver. We recommend a fixed-mount Class “D” DSC radio. Automatic Information System (AIS) is a marine collision avoidance system. The system uses VHF radio frequencies to transmit information about your vessel such as location, description, speed and heading. Most MFDs less than five years old now support AIS (see PY “Tech Talk,” Dec 2011 for AIS details). 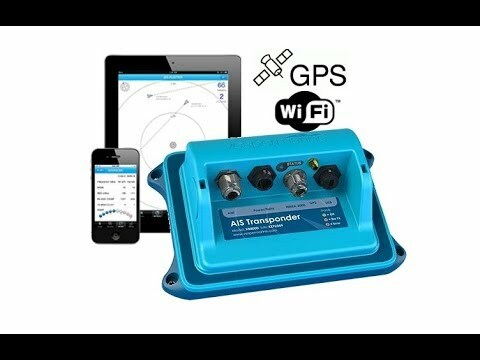 You will need to decide if you want to receive and display AIS targets only or if you also want to transmit your boat AIS info as well. You may want to add a loud hailer that includes foghorn signals, a siren which can connect to your security system or the ability to add remote intercoms for onboard communications. A loud hailer is also extremely helpful for getting other boats attention during an emergency. There are a number of inexpensive cameras that are compatible with most MFDs, allowing you to monitor your engine room, lower helm, bow or stern from the driving station. They also allow you to see dockside for your approach to a marina. The boat show season is upon us so put together your list of “must haves” and talk to the manufacturers. It is a great opportunity to try out the different options before you buy and they are usually offering some great show specials. If you are happy with your existing set up but would like to add a few options, like wifi or a camera, make a note of the model number and ask the dealers and manufacturers. Don’t forget to check back next month when we reveal our ultimate navigation system. Can I Connect a Video Camera Using NMEA 2000? Hunter Legend 35.5 - "Salish Moon"
"Jeff is a stand-up guy. He goes above and beyond, and he’s…"
Grand Banks 32 - "Thea"
"I’ve always enjoyed working with people who are willing to…"